Tired of relying on your legs, your bicycle, your friends or your skateboard for transportation? 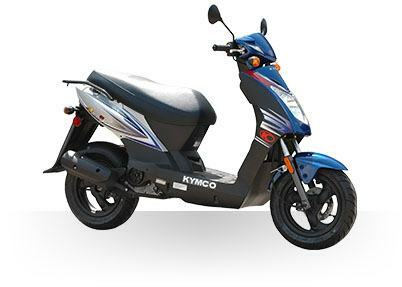 Check out KYMCO’s Agility 125, a versatile and spirited scooter that’s easy on the eye and easier on the pocketbook. With power from a 125 cc, 4-stroke engine coupled to a smooth-shifting CVT transmission, the Agility 125 is your ticket to self-reliance. Available in red, orange or blue, the Agility 125 delivers up to 75 miles per gallon fuel economy and comes with a helmet hook and under seat storage that makes it easy for you to take your board along for the ride.